3) Alene Gamel's weekly wedding column. "You have no problem getting down to business because the process you've signed up for just happens to be one of your favorite ways to spend the day." So true, so true!!! 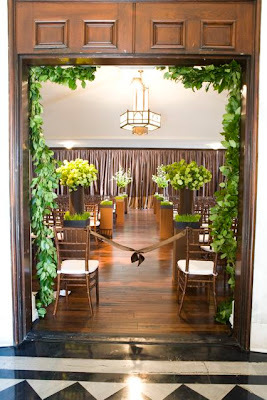 As a wedding/event planner, I work many nights and almost every weekend. While some might say I work too much, I could not disagree more. I absolutely LOVE what I do and find every second enjoyable! To sum it up.... 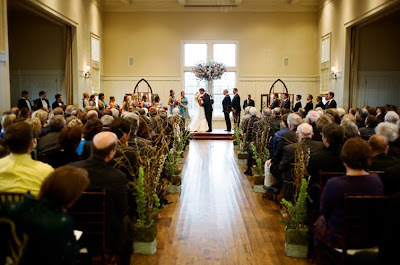 If you were married in a church, you may remember the "church rules" for decorating the sanctuary such as restrictions on flowers (don't block the altar, no pew markers, nothing in the aisle, etc. 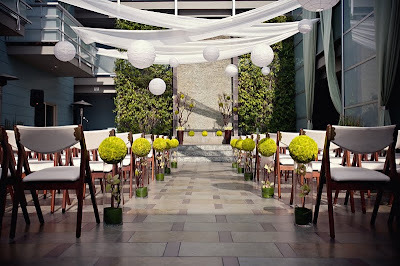 ), candlelight, music, wedding party placement and photographer locale. 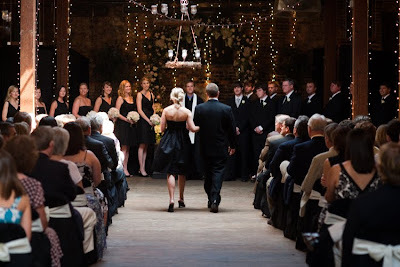 These rules can create a little tension between the bride and church wedding coordinator. The article today explained the view of the church as a place of worship instead of the view of the bride who wanted to completely transform the sanctuary. If you are a bride who dreams of walking down an aisle covered with rose petals or saying your vows in candlelight, be sure to check with the church before booking it for your ceremony. 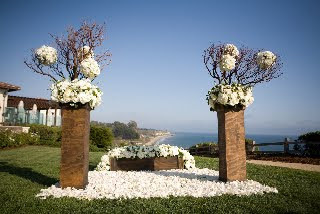 Instead of feeling restricted by the rules, consider choosing an alternate location to exchange your vows. While many brides have dreamed of having their big day in the church they grew up in, you can still have an appropriate religious ceremony in an alternative venue. 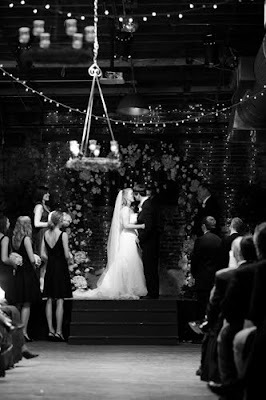 For those of you in Birmingham, the photos below are from a ceremony at B&A Warehouse.